Andrew and I have noticed that people in Africa have a deep desire to love and serve God, despite having absolutely nothing. They care about two things, their families, and their God. As we have met and stayed with valient Christian families, we have come to noticed just how much church means in their life. Today was absolutely incredible for many reasons. Kylie and I woke up early in the morning to research where the Kigali branch was located and to determine our game plan for the day. After settling various items of business from our hotels wifi, we left for church via two Bodabodas. Apparently there was some form of miscommunication cause they didn’t take us to where they said we would. Limited English did not help in clarifying the situation but fortunately, a young guy was speaking by and translated the situation for us. With his help we were back on track and off to church. When we rounded the corner and saw the church building we were both relieved and excited. Church was going to be a special experience. We sat down nearly 30 minutes early and waited for the service to begin. As we sat there I watched as the priesthood prepared the sacrament table with more reverence than I’ve ever seen from members of the church. The deacons dutifully passed out hymn books through the meetinghouse and prepared the room for the meeting. It was a small congregation, comprised of many people who had nothing as far as the world terms ownership, but everything from a gospel standpoint. I was touched by their faith more powerfully than I’d experienced for s long time. As we sang the opening hymn ‘Israel Israel God is calling’ we broke down in tears as I thought of the faith of these pioneer saints and the sacrifices they had made to be members of the church. Their love for the savior and gospel was inspiring. The rest of the fast and testimony meeting was wonderful with several testimonies being shared. Both Kylie and I shared the wonderful spirit we felt with the saints as we also shared our testimonies. Afterwards Jackson, a member who had served in South Africa, offered us a lift back to our hotel which we graciously accepted. With the time we had in the afternoon before our flight we gathered a few resources (ie. fruit and food) and made our way to the genocide memorial. Unfortunately after 20 minutes of walking we realized that the area we had walked towards was the wrong memorial site. With only 1.5 hours before the actual site closed we were worried about getting there in time. Incredibly, as I waved down a Bodaboda, a gentleman stopped and asked if we needed some assistance. He fractious ly offered us a ride free of charge. It was such s blessing to engineer Anthony. His kindness came in a moment of need and he made it possible for us to witness the incredible sites at the genocide memorial. That was the first time in Africa a non-member offered assistance to us without any expectation of payment. It was a kind, wonderful gesture that I’ll remember. As we walked into the memorial u couldn’t help but reflect how the prayers of our family have been protecting and helping us all along the way. Truly we have been blessed and watched over on this trip. Despite the many setbacks we’ve experienced along the way, we’ve always found a solution and made it through. 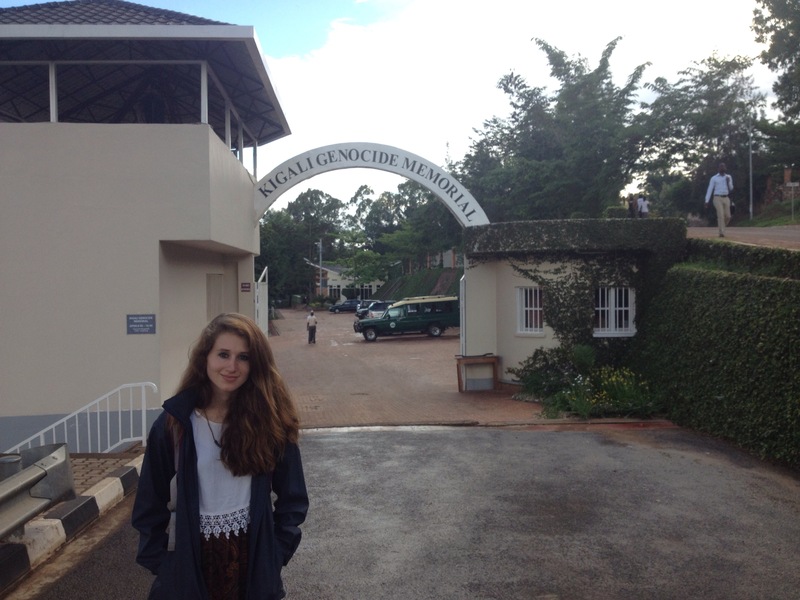 The memorial itself was s special insight into the events that led to the 1994 genocide. The ethnic controversy that arose because of European colonization and the deep strife and anger that was generated because of it. We both left humbled by the events we read and listened to. After getting our affairs in order we set off overly early to the airport. Unfortunately that’s resulted in us waiting in the local coffee shop until our flight pulls in to board. My error there and not one I plan on repeating anytime soon! I’m just grateful Kylie has been patient with me despite some of these blunders along the way. 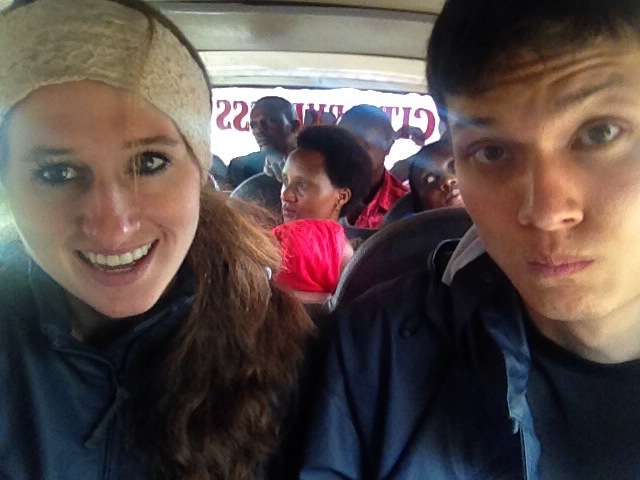 Overall we’ve been having an amazing time here in Africa and I only hope that’s continue to go as smoothly as the last couple days. 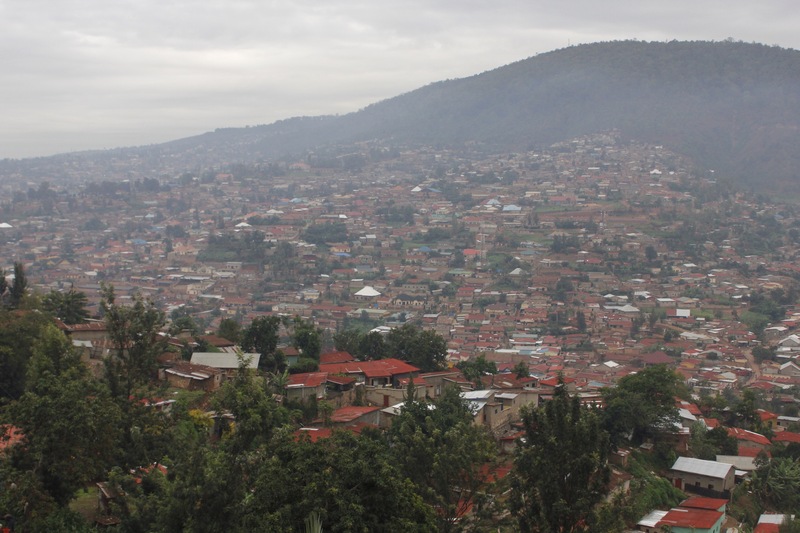 The city of Kigali, Rwanda. 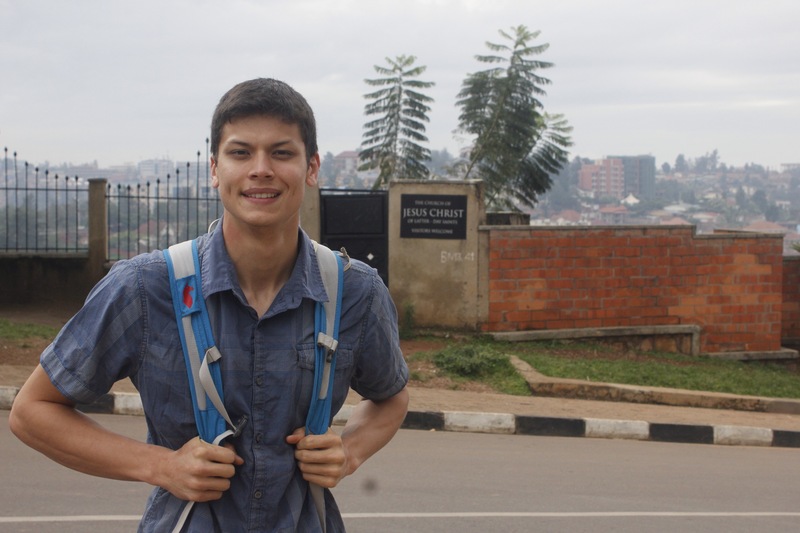 Andrew outside the LDS church in Kigali. 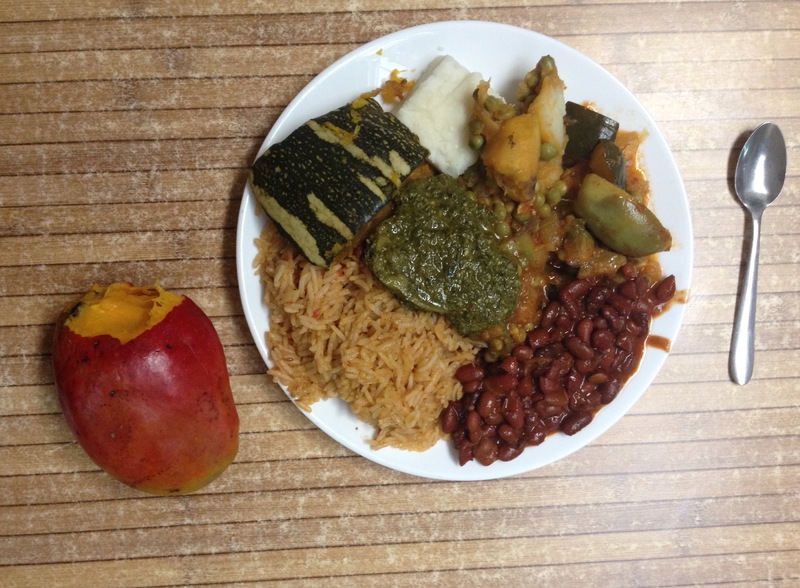 Additional typical Eastern Africa foods include mango, squash, peas, eggplant, and once again rice, beans, corn, plantains, and spinach relish.